When replacement windows aren't an option, and the exterior of the home must be preserved in its original appearance, interior storm windows can provide the answer to fewer drafts and a warmer home. A storm window is a removable pane of glass or plastic that is used in place of a window screen on the interior of the home. The pocket of air created between the storm window and the original window helps to insulate the area, preventing heat loss from older windows. A tightly fitted storm window can also reduce drafts from windows that have loosened in their frames. There are several ways to help increase energy efficiency in a home, so why use storm windows? They may be useful in the following instances. In some historic homes, it's important to retain the original windows and exterior appearance of the home. Replacement windows are not always available in a matching setting, meaning that these older homes are more prone to energy loss, UV damage and excessive noise. Storm windows placed on the home's interior cannot be seen from the outside, and can provide all the interior benefits of a replacement window without harming the home's appearance. 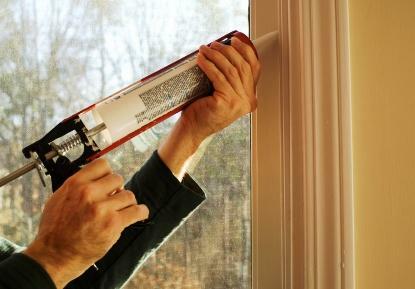 For homes where winter drafts and heat loss are a problem, there are multiple ways to winterize the windows. Plastic sheeting is an inexpensive option, but many homeowners dislike the look of the plastic, and feels that it detracts from their home's style or appearance. These seasonal windows are much less obtrusive, while providing the same benefits. Whether you just want to winterize your home, or you want to reduce energy costs year round, you can install storm windows and remove them each year, or leave them in place year round. They snap in and out similarly to window screens, and only take a few minutes to install or remove. If you wish to open a window for natural ventilation, just snap out the storm; you can replace it again when you close the window. Even in newer homes where appearance of the original windows is less of a concern, sometimes replacement windows are not an option. The cost and time required to get the replacement windows installed may be prohibitive. In this case, you can use seasonal windows until you can afford replacement windows. Seasonal windows are available customized to any shape or size, perfect for any style of home. Additionally, there are several types, which may be more or less suitable to your purposes. If you live in a hot weather climate, a storm window treated with low-e glazing will help to reduce heat gain in your home. This can help you lower your air conditioning bills by as much as 29 percent. If your windows have severe leaks that are letting wind and cold air through, you may want to look at storm windows with magnetic seals. These seals form a tight fit that keep out drafts. However, they can wear out over time, which may make this option best for those who are planning on replacement windows within the next five years. If you plan on leaving your seasonal windows in year round, or putting them in each winter and removing them each spring, you may want to consider permanent mounting brackets. These brackets attach to your windowsill, and make putting in and taking out your temporary windows a breeze. Storm windows for a home's interior can really make a big difference to your home's energy efficiency, among the other benefits. Consider the use of these windows in your home and live comfortably summer and winter.